Last year it was Hindi Medium, this year it is Stree. For producer Dinesh Vijan, the idea of bringing newer subjects on screen while ensuring all around commercial viability has paid off yet again. With none of his films similar to each other either in terms of genre, setting or cast, the filmmaker has been in an experimental mode for quite some time now and enjoying an envious success rate. “Stree, Hindi Medium, Badlapur, Finding Fanny – each of these films has been different from each other with its own sensibility. Horror-comedy, social-comedy, drama, slice of life affair – through his production house Maddock Films, Dinesh has been playing around with different subjects,” says a source close to the filmmaker. The Blockbuster success of Stree has turned out to be a case study of sorts since the Rs. 20 crore budgeted film has already gathered around Rs. 80 crore at the Box Office and is still counting. “The idea was to make a high concept film at low cost with good emphasis on the right marketing, promotion and release. The strategy was put on place almost a year back and that is paying off in a major way now. Film’s Rs. 20 crore budget was recovered well in advance through sale of music, satellite and digital rights. The huge moolah coming in from theatrical business is added bonus,” a close associate adds. Though his directorial outing Raabta couldn’t cover the distance, by and large Dinesh has been enjoying a good time as a producer with a positive success ratio. “Finding Fanny was an experimental film in English with mainstream popular actors like Deepika Padukone and Arjun Kapoor. It went on to do decent business. Badlapur was again a concept film and saw coming together of two different acting talents in the form of Varun Dhawan and Nawazuddin Siddiqui. That film worked quite well too. As for Hindi Medium, it stays on to be the biggest commercial success of Irrfan Khan. As a matter of fact it went on to do huge business in China too. Now Stree is set to enter the Rs. 100 Crore Club. It has been a phenomenal run for Dinesh Vijan and his production company,” the source adds. No wonder, the filmmaker is gung ho about his next two films. “Luka Chuppi is already on the floors. The film would be the immediate next release of Kartik Aryan after his Rs. 100 crore success Sonu Ke Titu Ki Sweety. It pairs him with Kriti Sanon who was seen in Dinesh’s Raabta. On the other hand Made In China too is going on floors. It features Stree actor Rajkummar Rao along with Mouni Roy who made her debut with Rs. 100 crore success Gold. Yet again, both Luka Chuppi and Made In China are concept films and boast of a story that hasn’t been seen or heard before,” a source close to Dinesh Vijan adds. 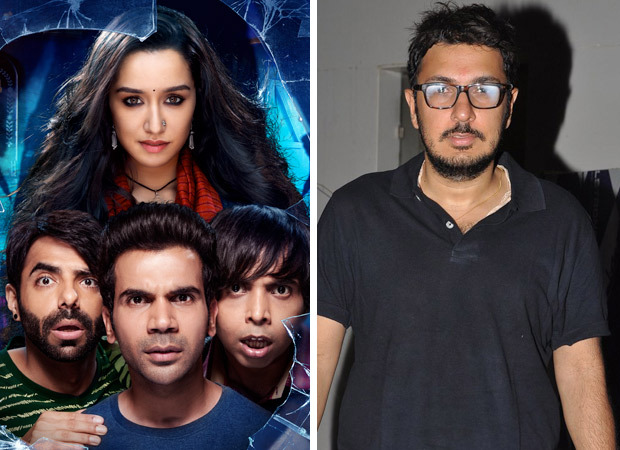 With Stree 2 already confirmed and many more plans up his sleeves, the filmmaker would soon be making more announcements that would ensure an engaged 2019 and 2020. You are Invited: Aldo Shoes Grand Re-Opening at Yorkdale!